It’s not enough anymore to just edit. We editors can’t just clean up messy documents and pass them along the production chain. We have to build relationships with our reporters, authors and clients to keep them coming back to us and to make it clear why editors are necessary for all publications, whether they’re on paper or on screen. I’ve worked in the book- and journal-publishing industry for 30 years, but I got my start as a journalist at a Texas newspaper. Over the last few years, I’ve been sad to see constant reports of newspapers and magazines laying off many or all of their copyeditors: USA Today, the New York Times, Newsday, the Cincinnati Enquirer, the Los Angeles Times. Two big reasons for the layoffs are the poor U.S. economy and the move from print to online publication. Some laid-off editors have made their way into freelancing for or being employed by organizations such as publishing houses, corporations, universities and nonprofits. I’ve seen a similar process in the publishing industry. Many publishers used to employ copyeditors. Starting in the 1980s, though, the industry began undergoing fundamental changes, and more and more in-house copyeditors had to go freelance or change careers. Advancements in technology, the shift from hardcover and softcover books to e-books, and the increasing respect given to self-publishing have accelerated industry changes. The quality of the publications we work on increases, which can increase readership and possibly publication sales or numbers of website visitors. Though don’t just hope that your clients and employers will notice on their own that your author-editor relationships are improving and produce desirable results. Show them. Give presentations, talk individually with them and write emails outlining the changes you’re seeing. Write blog posts and posts for LinkedIn. Tweet about the changes. Most importantly, focus on how those changes benefit them instead of on what an excellent job you’re doing. Make it clear that you’re the one behind the good outcomes, but show explicitly how those outcomes benefit the specific client or employer. My suggestions for building good relationships with authors come from my 20 years as a freelance editor working with book and journal authors. But you can adapt them to fit your situation as an employee working on a newspaper copy desk, editing consumer publications for a financial services company, or editing documents for a government agency. Be polite and collegial: It’s hard on the emotions when someone edits your copy. Authors work hard, so show them respect. Engage in small talk: No, you don’t have time to chat a lot, but showing some interest in authors as people is very effective over the long term in getting cooperation from them. I do small talk with my authors by email. Avoid public disparagement of authors: Putting authors down sets up adversarial relationships. Explain your reasons for edits when they’re not immediately obvious: Authors want to know that you’re not on a power trip, changing everything just because you can. Respect the author’s voice: If authors write something in a way that makes sense, is grammatically and syntactically correct, isn’t wordy, and doesn’t violate your style guide (or sometimes even if it does), don’t change it just to be making changes. Make only the necessary edits. Be transparent and direct, and let your authors be the same way with you. Communicate often and thoroughly: The more information you provide and the better its quality, the more likely authors are to produce the copy that you need in the way that you need it. Communicate by email whenever possible: When authors have your instructions in an email, they can verify what they were told. But if you just talk with them, they may forget important details. Either avoid using editing jargon or explain it when you must use it: Your goal in communicating with authors is clarity. Show appreciation: It may go against the tradition of your editorial niche to show appreciation to your authors, but authors respond well to being respected. Find some document sections that your authors handled well, and give them genuine praise. Even if all you can praise is that an author met a deadline, say thanks. Be a guide to the editing profession: Take the time to explain editorial processes or conventions that your authors might be unfamiliar with. It’s up to every single one of us to help our profession survive. Build good author-editor relationships now to help make the case for hiring and contracting with editors. Let’s make it possible for future generations to know why everyone still needs an editor. 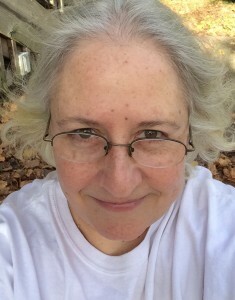 Katharine O’Moore-Klopf, ELS, has been in publishing since 1984, having worked as a production editor for various publishers and freelance copyeditor. She is the winner of the 2013 Robinson Prize from the American Copy Editors Society and is the first freelancer ever to receive the award. She has written about editor–author relationships for the journal Science Editor, and she shares writing of the “Business of Copyediting” column for Copyediting newsletter with Daniel Sosnoski. She is also creator and curator of the Copyeditors’ Knowledge Base, and is currently the managing editor of the Journal of Urgent Care Medicine (JUCM), the official publication of the Urgent Care Association of America and the Urgent Care College of Physicians. On Twitter, she is @KOKEdit.